Top 10 Best Android Phones 2012 | Free Your Mobile Life! As we enter one of the last month before the holiday season reaches fever pitch it’s about time that we starting seeing new phones hit the market and we have done over the past month. Some have been less new than others but, the fact is that are new phones on the market and with price drops liking to come across all carriers the choice is perhaps even more difficult than before. If you’re looking to get your hands on a new phone for Christmas then now is about the time to start getting serious about looking. There have been some new phones coming out that could change the previous decision you told yourself you were set on. If you want to know what’s hot for the cold month of November then read on my friends! Take a look at what your carrier of choice charges for contract-free handsets and then get a load of this. The Xiaomi Phone 2 has just been announced, and it’s packing top-notch hardware at the unbelievable, rock-bottom price of just $310. Guanine, adenine, thymine, cytosine... Android? The Droid DNA -- the latest addition to Verizon's Droid series -- may not contain any actual nucleotides (that we know of), but that doesn't make this HTC-made superphone any less of a powerhouse. On the contrary, we've been eyeballing this handset with eager anticipation ever since it first launched in Japan as the J Butterfly; much like its counterpart from the Land of the Rising Sun, the DNA boasts a jaw-dropping 5-inch, 1080p display. But while that may be the headliner-worthy feature, you certainly can't go wrong with a quad-core Snapdragon S4 Pro processor and 2GB of RAM taking charge behind the scenes, along with an ImageSense camera and other top-notch specs. The One X has been the flagship of the One Series for quite some time now and it’s a real shame that it’s only available on AT&T in the States but with that comes LTE support and after a recent price drop it’s perhaps one of the best phones you can get on the network right now. There’s a lot to be said about the phone’s gorgeous screen and while it’s not the fastest phone out there anymore it more than keeps up. As with any other phone from HTC there are the usual questions about software support but it looks like HTC will be delivery Jelly Bean soon but until then you’re stuck with Ice Cream Sandwich and HTC’s Sense UI on top. There’s a whole lot to love about this phone and if you live in an area with AT&T LTE then this is one of the best phones for you. It’s perhaps a little strange to see a Sony phone in a list that is normally dominated by Samsung and HTC but here they are. 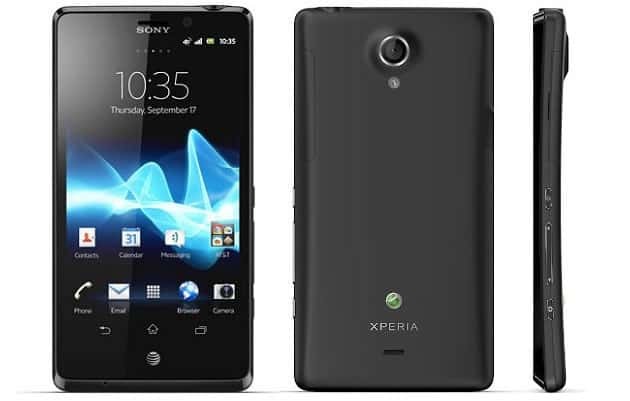 With another phone for AT&T they’ve bought the James Bond to the States in time for the film’s release and it’s interesting to see that this time around there hasn’t been many changes unlike the Xperia S and the Xperia ION. The Xperia TL has a lot to it and comes with an excellent 13 MP camera and hardware button to make it easier than ever to take photos on the go. Android 4.0.3 is unfortunately on board but this will be getting an update to Jelly Bean but whether that means 4.1 or 4.2 is up to Sony and we really couldn’t say. It looks like Sony have finally bought a decent Android Smartphone to the States but, is it too little, too late for the Japanese company? Amidst the fierce competition in the Chinese mobile market, Meizu has managed to keep up with its annual cycle to unveil its latest flagship device, the MX2. Announced at the launch event in Beijing earlier today, the MX2 comes with a Samsung-made 1.6GHz, Cortex-A9 quad-core SoC dubbed "MX5S," along with 2GB of RAM, a 30-percent faster GPU, a 4.4-inch 347ppi (1,280 x 800) gapless display with 3.15mm bezel and efficient "New Mode 2" technology (the description of which sounds like IGZO to us), an improved eight-megapixel BSI F/2.4 camera and a choice of 16GB, 32GB or 64GB of built-in memory.